Offering Dog Training and Nosework to Durango, Bayfield, Cortez, Aztec, Farmington and surrounding areas. • Trial entry will open on Tuesday, April 30, 2019 10:00 AM Mountain Standard Time (MST). Entries will be awarded by random draw of all entries received between 10am MST April 30, 2019 and 10 am MST May 2, 2019. • Trial entry will close when entries fill after the draw period or 10am MST on June 7, 2019. • The trial host of an event has the right to refuse entry of any competitor or dog for just cause as approved by the National Trial Committee. Just cause includes lack of adherence to NACSW rules and guidelines and the policies outlined in each event entry premium. All registration will be on-line via the link provided to the NACSW™ trial registration form. Paper and phone entries will not be accepted. Completing the form is not a guarantee of entry. You will receive an auto-response email confirming that we received your trial entry after registration - this email does not confirm your space in the trial. There will be a separate confirmation from durangodogcollege@gmail.com, to let you know if your entry has been given a space in the trial. 2. The Handler is a NACSW™ member for the 2018-2019 membership year (8/1/18- 7/31/19). 6. Qualified entry for NW1 – Dog has not yet earned a NW1 title level. 7. Qualified entry for NW2 – Dog has earned a NW1 title level and has not yet earned a NW2 title. 8. Qualified entry for NW3 – Dog has earned a NW2 title and has not yet earned the NW3 Elite title level. 9. 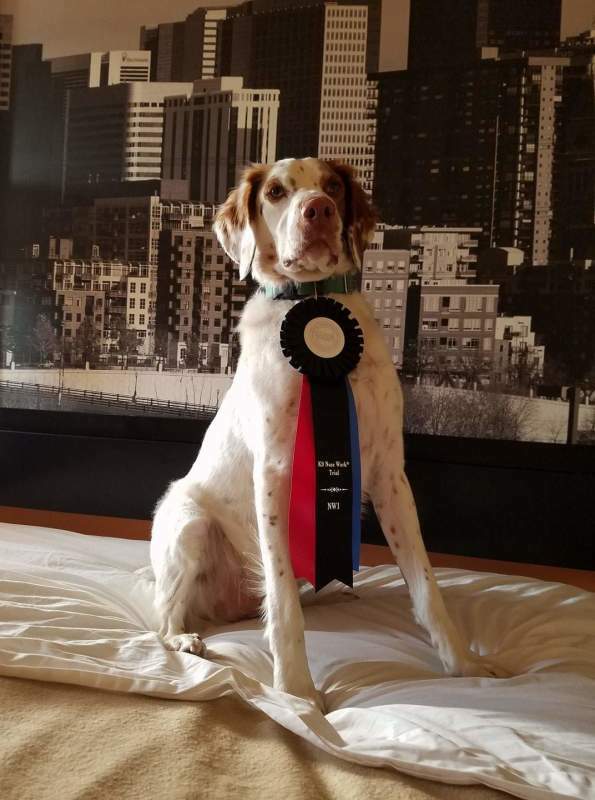 Qualified entry for Elite - Dog has earned a NW3 elite title and has not yet earned an ELT-CH title. • Spaces will be awarded by a random draw of all Qualified Entries received between 10am MST April 30, 2019 and 10 am MST May 2, 2019. • In the event that you are having technical difficulties with the entry system, please email trialEntry@nacsw.net prior to the end of the draw period. • If a trial level is not full after the draw of Qualified Entries, then there will be a Secondary Draw of any entries received that did not meet the ORT or title requirements. These entries will be accepted pending completion of the requirements. Please note: Dogs must earn the appropriate ORT and prior title level at least 3 days prior to the trial date to be eligible to compete. If the required title or ORT is earned less than 14 days prior to the event, it is the competitor’s responsibility to provide proof of the ORT or title to the event host in the form of a score book or a photo of the official results. Note: If you are entered in another trial before this one and earn the title for the level you are entering (NW1, NW2, NW3) at that trial, you will forfeit your space in this trial. You may request that the host add you to the list of those wishing to run their dog For Exhibition Only (FEO), in which case you may be given a space in the trial if space remains after all Qualified Entries are accommodated. If you earn the title level after the refund period has ended then you must contact the trial host at: (durangodogcollege@gmail.com) within 48 hours of earning your title and at least 72 hours before the trial you are registered for to let them know you are no longer eligible. If you contact the host within 48 hours of titling and at least 72 hours before their trial and (1) they are unable to fill your space then you won't be given a refund but will be allowed to keep your space in the trial and run your dog FEO or (2) they are able to fill your space then a refund will be issued minus the processing fee listed in the cancellation policy. If you fail to contact the host within 48 hours of earning your title and at least 72 hours before the trial you are registered for then you will forfeit your space, you will not be allowed to run as FEO, and no refund will be issued. • After all entries received during the draw period are processed, if the trial level is still not full, entries will continue to be accepted in the order they are received through the closing date or when entries fill. • You may enter multiple dogs for entry in the draw. However, only one dog/handler per title level will be accepted into the trial. Entry will go to the dog selected in the draw – you may not swap to an alternate dog. In the event that multiple dogs are selected in the draw, you may select which dog you wish to enter. Once a dog has been entered as a second dog/handler entry, you may not swap handlers after the draw to change the entry to a first dog/handler unless the trial is not full. • No dog will be given a space in more than one trial of the same level at a single event. • Some trial entries may be given priority entry based on contributions to the organization and the trial process. • If space remains after all qualified entries are accommodated on May 6, 2019, then we may accept entries for those who wish to run a dog For Exhibition Only (FEO). Dogs running FEO are not eligible to receive titles or earn placement ribbons. FEO results will not be included in the posted trial results. You will be notified via e-mail of the results of the random draw by 6:00PM (mountain time) May 10, 2019. If you are given a space in the trial, you will receive information on how to submit payment. You will then have 48 hours to complete your payment to confirm your space in the trial. The following cancellation policy applies: For cancellation of entries on or before 6pm mountain time June 7, 2019 – Full refund minus $10 processing fee. For cancellation of entries after 6pm mountain time June 7, 2019 – no refunds will be issued unless the space can be filled in which case a refund will be issued minus a $25 processing fee. No refunds will be issued for cancellations during the last 72 hours before the event or no-shows. Please note: Due time constraints, host may opt to not fill cancelled spaces and no refund will be issued. This trial location is a school. The competitor parking lot is paved and on a slight incline. The pathways and search areas may require you to navigate stairs, gravel and dirt. The search areas may include pavement, grass, dirt, gravel, and woodchip planting areas on level ground. The dog potty area is significantly sloped. By registering for the trial, the competitor hereby assumes all risks of, and responsibility for, accidents and/or damage to her/himself or to her/his property or to others, resulting from the actions of her/his dog. The competitor expressly agree that the NACSW™, Wag Between Barks/ The Focused Fido and its assignees or any other person, or persons, of said groups, shall not be held liable personally, or collectively, under any circumstances, for injury, and/or damage to her/himself, for loss or injury to property, whether due to uncontrolled dogs or negligence of any member of said groups, or any other cause, or causes. The competitor also agrees to assume all financial liability that may be incurred by the NACSW™ due to the actions of themselves or their dogs regardless of the cause. • All dogs must be on a 6’ leash at all times when not being tested. NO flexi-leashes while not participating in a competition search. • Reactive and/or spatially challenged dogs should wear a red bandana (to be provided by the dog’s handler) to help signal others that the dog needs extra space from other dogs. • Dogs will be toileted in designated areas and handlers must pick-up and dispose of waste. • Dogs and handlers must stay in designated areas to avoid contaminating testing space, interrupting a test, or from viewing any part of the testing. 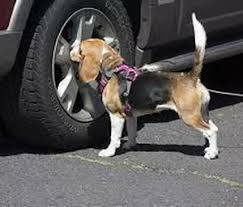 • Unentered dogs must remain in the competitor’s vehicle during the trial day. There will be ample potty areas, but unentered dogs should not be allowed to “play”, exercise, or train on the trial grounds. • Competitors should expect to keep their dogs confined in a crate or vehicle when not competing. The logistics of a trial typically do not allow for dogs to hang out on leash in between searches. Competitors should plan to provide their own shade using canopies or shade cloths. Will be allowed to run wearing “pants” at the very end of the running orders after all other dogs have been judged. Females in season will be parked and pottied in areas separate from the other dogs while at the trial if the location logistics permit. Handlers must contact durangodogcollege@gmail.com so plans can be made for the dog. We will do our best to accommodate reactive dog parking at this trial for those who wish, however the parking is tight and there will not be separate potty areas or warm up boxes. There is NO space for RVs to park in the competitor parking area. The parking is tight at this location, running your vehicles or generators in the parking lot is allowed at this trial, but only if necessary.